Business Name: Mimètik Lovers, S.L. 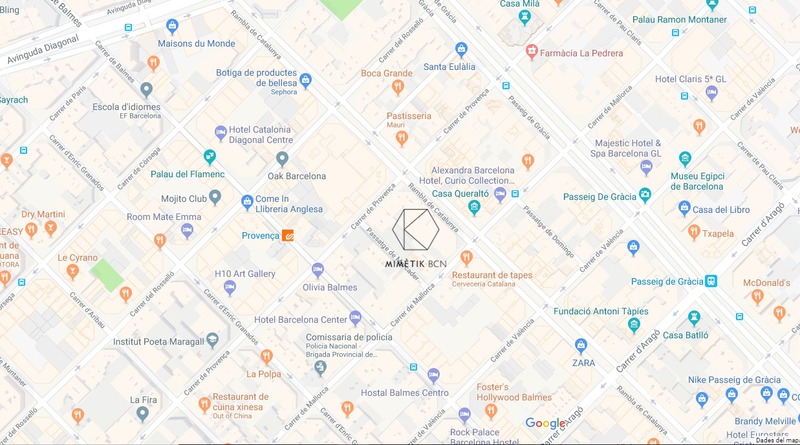 Address: Rambla Catalunya, 95, 2º 2ª, 08008 – Barcelona. We inform you that the Personal Data collected will be incorporated into a File under our responsibility, in order to manage the delivery of the information requested and provide interested parties with offers of products and services of interest as well as billing of the products purchased on our Website. The data provided will be kept as long as the commercial relationship is maintained, during the years necessary to comply with the legal obligations or its deletion is requested by the interested party. As a direct interested person, you have the right to obtain confirmation on whether Mimètik Lovers, S.L. We are treating personal data that concerns you, or not. You have the right to access your personal data, as well as to request the rectification of inaccurate data or, where appropriate, request its deletion when, among other reasons, the data is no longer necessary for the purposes that were collected. In certain circumstances and for reasons related to your particular situation, you may object to the processing of your data. Mimètik Lovers, S.L. will stop processing the data, except for compelling legitimate reasons, or the exercise or defense of possible claims.